Hello Book Clubbers! 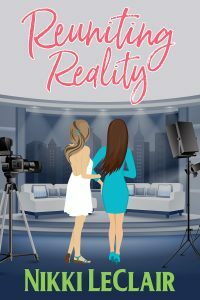 Today, chick lit and cozy mystery author Nikki LeClair stopped by to answer a few questions for all of you as part of the blog tour for her recent chick lit novel, REUNITING REALITY!! TQBC: Chick Lit and Cozies are the featured genres here on the Twenty Qs website. What sparked your interest in writing in both genres? 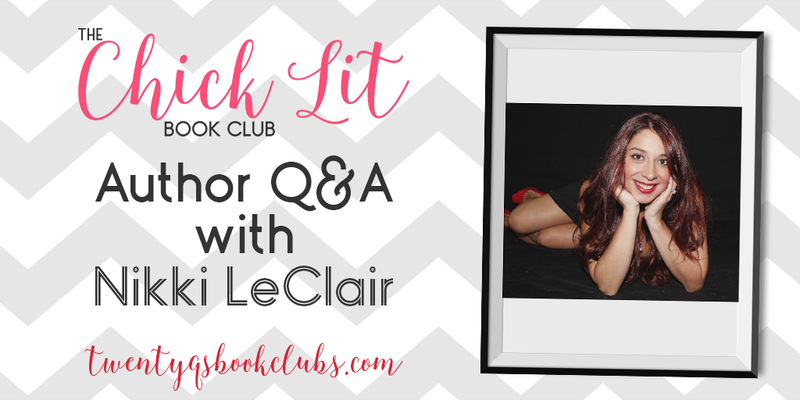 Nikki LeClair: I love to laugh, and Chick Lit books do that. They’re light, funny, romantic, and sometimes ridiculous, which is what I think life should be. They often leave you in a good mood, and that’s what I like about them. They don’t take themselves too seriously, which is what life is about. Cozies are the same thing, only with a flare of whodunit to them. TQBC: What do you find the easiest about writing in different genres? Nikki: Because the two genres can be so similar, I find writing antagonists the funniest and easiest for me. In chick lit, they are often ridiculous, snarky, and you can get away with so much when it comes to them. They can make or break the story, I find, and people love characters that they can love-hate. TQBC: What about the most difficult thing? Nikki: Sometimes, it’s difficult for me to remember that the problem in the chick lit I’m writing doesn’t have to be as serious, creepy, or crime related as they tend to be in Cozy Mysteries. It can be something as simple as being betrayed by a friend, a lover, or losing an important client, but in hindsight, the types of problems in Chick Lit can be relatable to the readers. I really like that, and I think that’s what readers really like too. Starring opposite her best friend in hit reality TV show Daughter of Famous Mothers, Julie Duncan was riding high, clouded with adoring fans and cozily married to an ambitious plastic surgeon. One day, everything changed. Betrayed by not only her husband, but someone she completely trusted, Julie disappeared from that life and left it all behind. Four years later, Julie’s life is far from brag-able. Living with her sister and scraping by doing D-list gigs, Julie is given an opportunity to fix her pathetic life. The only catch? Spending a week on camera with the people who destroyed her life. So what’s a girl to do when her back is against the wall? ✓ Create a new, improved version of herself—a version that has moved on and let go the trials of the past. ✓ Invent a hopping new social life and a hot Olympian boyfriend. ✓ Beg forgiveness from her former best friend. Simple enough until her fake new boyfriend suddenly shows up, her former best friend gives the cold shoulder, her ex-husband is as shady as ever, and butterflies she thought had died long ago begin to flutter alive. Will Julie be able to keep up her ruse? Or will the cameras catch something she won’t ever be able to escape? Nikki LeClair lives in Canada with her loving husband and their two rambunctious children. When she isn’t ordering her children to behave or begging her Border Terrier to listen to her, she sits behind her lap-top plotting out the next adventure of her new characters. She’s a fan of a good glass of Pinot Noir, and can’t live without her favorite Tea blends. We're a fun group of Chick Lit and Romantic Comedy readers who banded together on Facebook and are now moving to the wonderful world of Goodreads! Are you a lover of Chick Lit and Romantic Comedies? Do you want to find new books to read and have an awesome group to chat about those new books with? We would love to have you join us! Share book reviews and ratings with The Chick Lit Book Club, and even join a book club on Goodreads. We're a fun group of Cozy Mystery readers who have branched out from our sister book club, The Chick Lit Book Club! Are you a lover of Cozies? Do you want to find new books to read and have an awesome group to chat about those new books with? We would love to have you join us! Share book reviews and ratings with The Cozy Mystery Book Club, and even join a book club on Goodreads.